You can think of your stage decor in two parts – (1) the backdrop and (2) the landscape decoration down the front. Instead of the conventional printed stage backdrop, our event decorators can design a balloon backdrop featuring your occasion title, logo and your desired design elements. 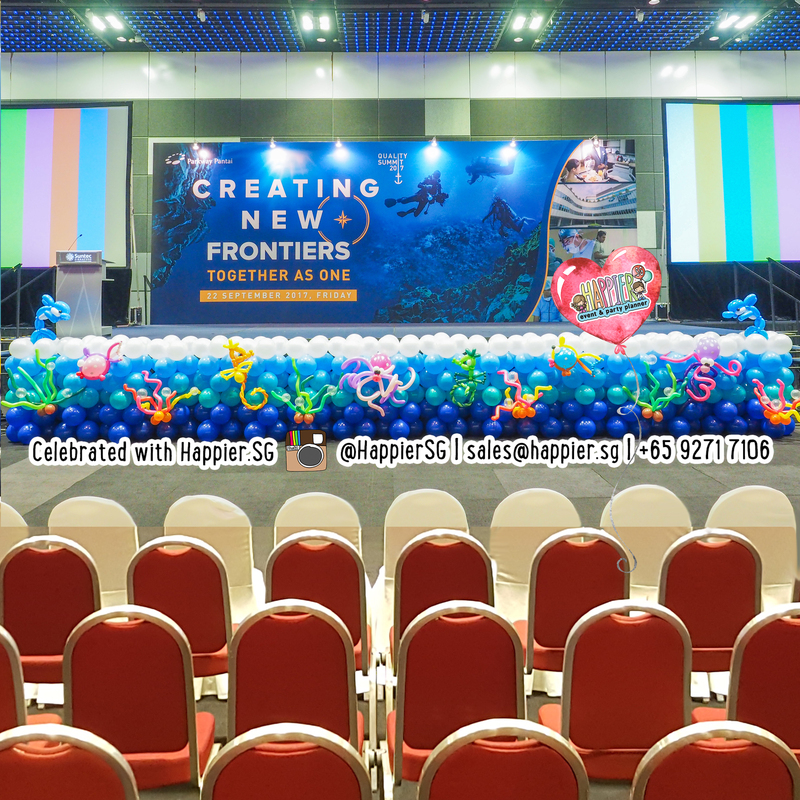 Our stage decorators may suggest a creative mix of balloons, graphic design and printed media to achieve the style that best fits your event and budget. Our balloon backdrops can be customised to match your corporate brand or made in rainbow colours to appeal to families. Opt for the spiral design if you are going for a cleaner look or explore an organic balloon backdrop to bring an eclectic vibe to your event! Our balloon landscapes are designed to frame the front of your stage for a more cohesive look. Our stage flower balloon landscape offers you a fun alternative to traditional fresh flower stage displays. The more adventurous event organisers would appreciate being able to customise our stage landscape decoration in endless ways. Create a butterfly garden or an ocean teeming with marine creatures. Ask our balloon decorators to feature your event tagline or any other character balloon sculptures to make your theme come to life! 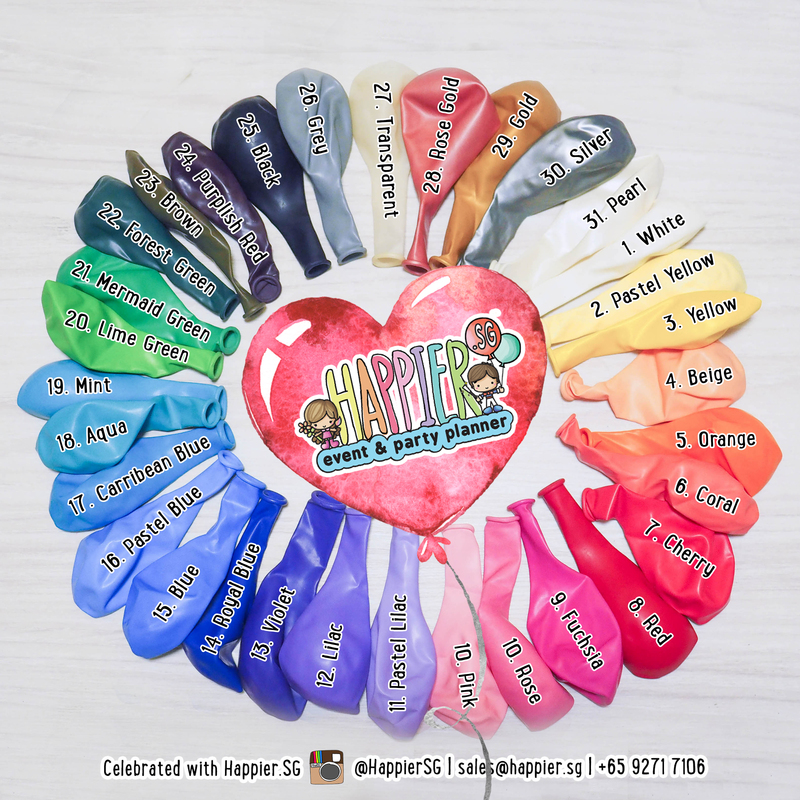 As all our balloon decoration projects are fully customized to your requirements, the prices vary according to the design elements, dimensions and venue type you choose.